BIGHIT Entertainment just dropped the bomb! Be prepared fellow ARMYs, because BTS is ready for their next tour! BIGHIT Entertainment has just released 2017 BTS LIVE TRILOGY EPISODE III THE WINGS TOUR trailer few minutes ago. 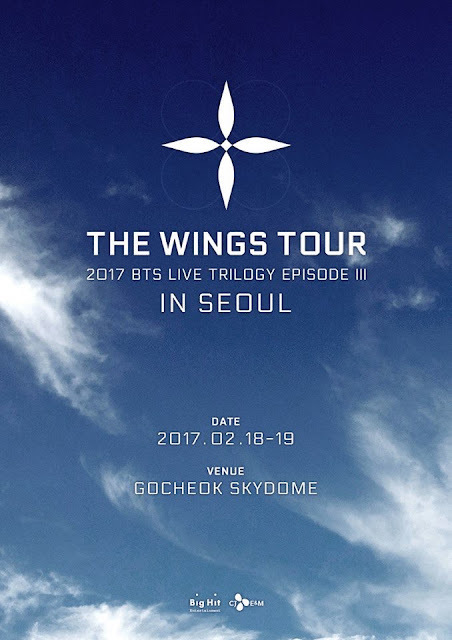 2017 BTS LIVE TRILOGY EPISODE III THE WINGS TOUR will be kick started in Seoul, Korea on 18-19 February 2017 and they will be touring to several countries after that. List of countries will be revealed soon.